Exceptional 2-Story Home with Pristine Inground Pool on 2 Acres in Peaceful Park-Like Setting! You will absolutely love this beautiful, exceptionally maintained home on 2 acres. Wonderful layout includes a large eat-in kitchen with like-new stainless appliances, sunny breakfast nook, plentiful cabinet and counter top space PLUS pantry. Convenient main level laundry room. Formal dining room for dinner parties. Formal living room that could also be utilized as a 4th main level bedroom. The great room is STUNNING with cathedral ceilings, gas fireplace, fabulous windows and abundant natural lighting! The new custom deck is PERFECT for cookouts and entertaining friends and family, while lounging in your pristine swimming pool AND new hot tub! Bedrooms are comfortable and VERY spacious! Master suite features private bath and walk-in closet. Unfinished basement is dry and ready to finish into a game room or 4th/5th bedroom. 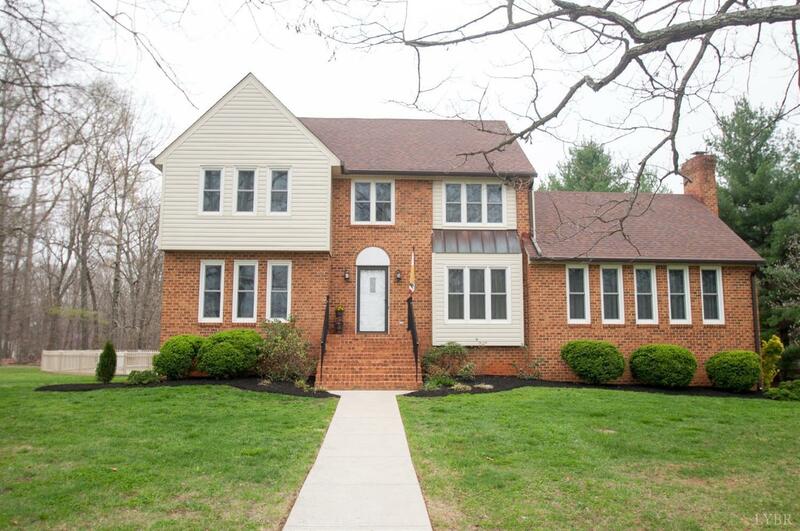 This home is absolutely move-in ready, & will NOT last! Call today!